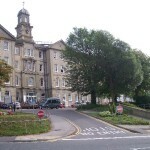 Brighton and Hove Community Land Trust hosted the event at Brighton University premises in Edward Street. 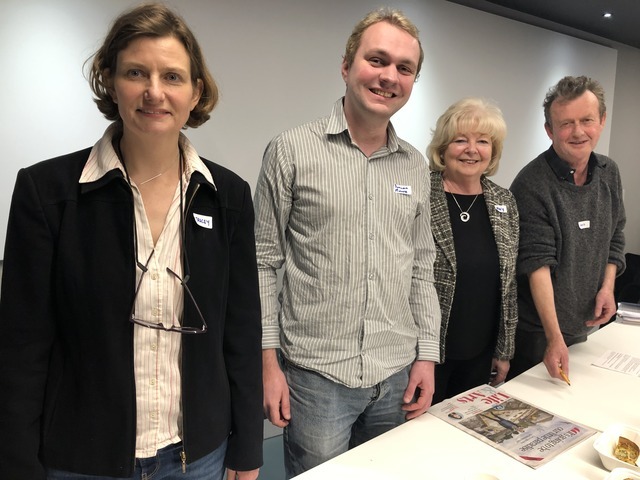 Members asked representatives of four political parties about their views on community housing and the issues facing the city. The trust supports community, co-operative and self-build projects across Brighton and Hove. Its aims are to develop affordable housing and other community assets by supporting groups and buying or leasing land for the benefit of the community. 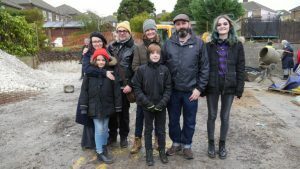 Councillor Tracey Hill, standing again for Labour in Hollingdean and Stanmer ward, spoke first and praised the Bunker self-build project in East Brighton and Coldean. When it comes to community-led housing she said that it was given priority and grants from the council had helped people to get together and make progress on their projects. She said: “What we need to do next is have a change of mindset so we see community-led housing not as people asking for a favour but people who can help us solve this housing crisis in the city. She told the audience of about 50 people that the Labour housing manifesto had a commitment to find 10 sites for community housing. The party would do this, she said, within six months if returned to run the council. Liberal Democrat candidate Duncan Moore, who is standing in Brunswick and Adelaide ward, said that the cost of living was spiralling, with 15,000 on the housing list. National changes were needed, he said, such as ending the right to buy. He called on the council to meet affordable housing targets and work with as wide a variety of housing providers as possible, including community housing groups. Mr Moore said: “Community housing is inherently more varied, from blocks of flats to medium-density housing options to specialist housing. He said that community housing placed more value on community assets than for-profit developers. Conservative councillor Mary Mears, who is standing again in Rottingdean Coastal ward, said that housing was the top priority for the government and the council. 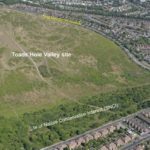 She said: “Years ago across the city there were many self-build schemes in Wilson Avenue, Woodingdean, Hollingdean, Hollingbury … These were people who could not buy on the property ladder but had skills. In the past, she said, these were supported with council mortgages and the Conservative group wanted to look at this again with the option of using the Housing Revenue Account. Green councillor David Gibson, who is standing again in Hanover and Elm Grove, said “Community land trusts are about local action and have fantastic potential. “It harnesses people’s energy which is a fantastic resource for a pressured cash-strapped council. Councillor Gibson said that more homes should be built at genuinely affordable living rents, with finance made more available to developers by passing on Public Works Loan Board borrowing. The event was the first of three hustings events accounced so far in the campaigning period. Brighton and Hove Housing Coalition has hustings at St George’s Church starting at 7pm on Thursday 11 April. And the Pesticide Action Network UK hosts its environmental hustings at the Brighthelm Centre at 7pm on Thursday 18 April. All Brighton and Hove City Council seats are up for election on Thursday 2 May. British, European and some Commonweath citizens can vote. Voter registration closes on Friday 12 April at www.gov.uk/register-to-vote.